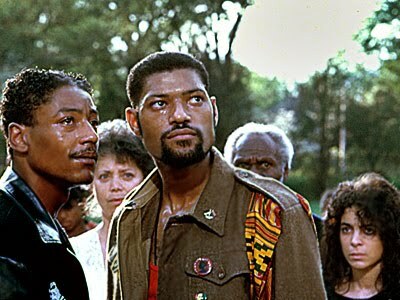 SCHOOL DAZE (1988, starring Laurence Fishburne, Giancarlo Esposito, Jasmine Guy, Tisha Campbell-Martin, and Spike Lee): Director Spike Lee's riveting look at college life; finding yourself in a crowd of other people who may or may not be looking for the same thing. School Daze follows one young man's fight to rally his fellow students against the throes of apartheid and ignorance. All the while, the rest of the student body is preoccupied with their own mini wars: he light skinned versus the dark-skinned, the fraternities versus anyone else on campus. It's also a look at the dynamic of young relationships, both sexual and platonic, and features some of the flyest step sequences in cinema. THE COLOR PURPLE (1985, starring Danny Glover, Margaret Avery, Whoopi Goldberg and Oprah Winfrey): Performed by terrible actors with a callous screenplay, The Color Purple might have failed to bring to life the power of Alice Walker's moving story. Much more than simply the trials and tribulations of Black women from the south, The Color Purple is a story of faith, friendship, and redemption. Notable facts: Goldberg, Avery, and Winfrey were all nominated for both the Academy Award and Golden Globe for their heartwrenching performances. 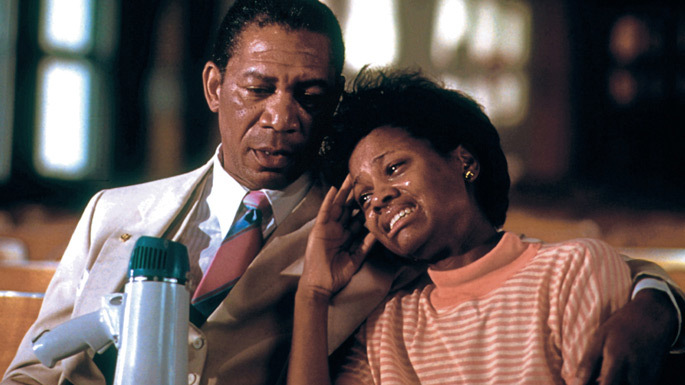 The film was also nominated for best picture, best original song ("Miss Celie's Blues" by Quincy Jones, Lionel Richie, and Rod Temperton) and best original score from both awards. IMITATION OF LIFE (1934, starring Louise Beavers, Claudette Colbert, Warren William and Rochelle Hudson): If you can make it to the end of this movie without so much as dabbing a stubborn tear with a kleenex, you have no heart. Imitation of Life is the classic story of a Black woman's struggle to make a life for her and her daughter that later creates a riff in their relationship after her daughter decides to pass as white. Beavers's agonizing portrayal of the mother desperately trying to reclaim her daughter as her own heart aches for her is nearly unbearable to watch. A bold story for its time, Imitation of Life was so well performed from the entire cast. Notable fact: The film was nominated for an Oscar for best picture. A RAISIN IN THE SUN (1961, starring Sidney Poitier, Claudia McNeil and Ruby Dee): Lorraine Hansberry's Broadway play about a Black family from Chicago battling competing dreams and a their first fistful of money gets a gripping film treatment led by a stellar cast. Notable facts: Hansberry was the first black writer to present a play on Broadway. 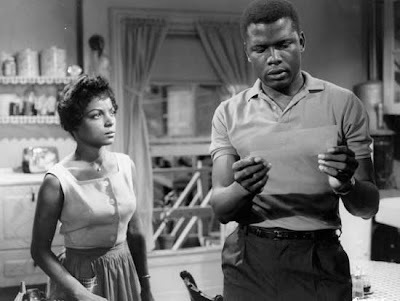 Both Poitier and McNeil were nominated for numerous awards for their performances, including the BAFTA and Golden Globe. CLAUDINE (1974, starring Diahann Carroll, James Earl Jones and Lawrence Hilton-Jacobs): It's hard enough being broke on you're own. But add six children to the mix in a small Harlem apartment, your affinity to want to crawl into a fetal position heightens twicefold. But not Claudine, the tough mom was determined to keep her family together during tough times and proved a positive figure to both her children and to timeless black female performances. Notable fact: Carroll was nominated for both the Academy Award and Golden Globe, among other awards. Co-star Jones was nominated for a Golden Globe for his performance as her hopeful love interest. R&B great Curtis Mayfield was nominated for a Golden Globe for his soulful tune "On and On." 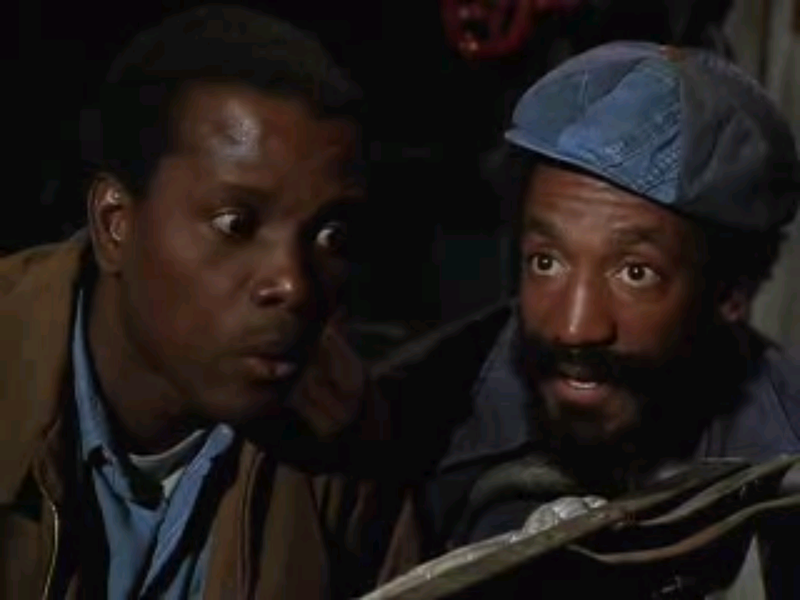 UPTOWN SATURDAY NIGHT (1974, starring Sidney Poitier, Bill Cosby and Harry Belafonte): A hilarious bromance before "bromance" was cool, comedic legend Bill Cosby teams with the distinguished gentleman Sidney Poitier for a comedy of errors. The two star as friends escaping for a night on the town to only end up getting mixed with some criminals in search of their missing lottery ticket. Notable fact: Cosby and Poitier went on to star in two other similar films (Let's Do It Again and A Piece of the Action. Although the actors play different characters, the three films are considered a trilogy. MALCOLM X (1992, starring Denzel Washington, Angela Bassett and Delroy Lindo): Arguably Washington's best performance and director Spike Lee's best movie, Malcolm X brilliantly captured the complexities of an era and a human rights activist. Its intriguing, inspiring, and unbelievably profound all wrapped into one, and still captivates audiences today. Notable fact: Though the film, Washington, and Lee were nominated and/or won for numerous Oscar precursors, it did not garner a single Academy Award. JUNGLE FEVER (1991, starring Wesley Snipes, Annabella Sciorra, John Turturro, Spike Lee, Halle Berry, Ruby Dee, Ossie Davis and Samuel L. Jackson): An honest look at interracial dating, Jungle Fever explores the impact it takes on family, friends, and those involved, for the good and the bad. Especially within the black community, there are strong emotions about it either way and this film takes a candid look at the psychology and dynamic of both. Oh, and it has a real catchy theme song by Stevie Wonder too. 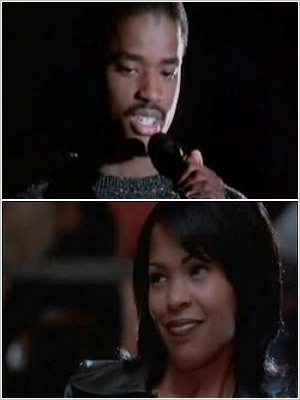 LOVE JONES (1997, starring Larenz Tate, Nia Long and Isaiah Washington): A tale of two star-crossed lovers whose love played out perfectly in tune with an unforgettable soundtrack still remains one of the most memorable black love films. It's not cliched. It's not obscene. It's not even predictable. One of the best things about Love Jones is the way the story unfolds. Rhythmically in tune to the underground poetry atmosphere it bathes in, the story align es itself with the unpredictable next verse in a freestyle poetry, while offering the inevitable complications and "what ifs." It made us all want to run to a slam joint and find our love Jones. 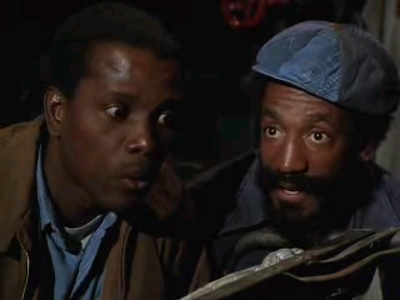 SHAFT (1971, Richard Roundtree, Moses Gunn and Charles Cioffi). A black detective takes on the streets of Harlem and the Italian mob with swagger, class, and a fierce determination for justice, in the 70s. You really can't beat that. It was one of the best cop films, which was followed by a slew of other related films. Just a few years after In the Heat of the Night showed a black male cop take on the injustice of the streets and tackle race relations, Shaft's smooth portrayal was less vulnerable, but equally as intimidating. And you can't beat that rhythmic tune by the late great Isaac Hayes, which later went to win a Best Song Oscar. Notable fact: In 2000 (the same year the remake was released starring Samuel L. Jackson), Shaft was selected for preservation in the United States National Film Registry by the Library of Congress for being "culturally, historically, or aesthetically significant." COFFY (1973, starring Pam Grier, Booker Bradshaw and Robert DoQui): Real-life femme fatale Pam Grier played the original female badass who was a nurse by day and a street-fighting vigilante by night. She kept men weak at the knees and a slave to all her advances. After her sister gets caught out on a drug trip, Coffy makes it her mission to seeks justice by killing drug dealers, pimps, mobsters, and anyone else who crosses her path. STORMY WEATHER (1943, starring Lena Horne, Bill "Bojangles" Robinson and Cab Calloway): During a time when black actors and performers were rarely if ever seen in lead roles, Stormy Weather brought the charisma, effervescence and undeniable talent that is still a staple for the movie-musical today. A real who's who in Black entertainment at the time, the film is loosely based on the life of dancer Bojangles (who plays the character on whom he's based), worldwide entertainer Lena Horne, with cameos by Cab Calloway and Fats Waller, the Nicholas Brothers, singer Ada Brown, and Katherine Dunham. Notable fact: Although the running time is a mere 77 minutes, there are a total of 20 fabulous musical numbers throughout. Seriously though, it's a good list, although I would put "In the Heat of the Night" among the most notable ones because of its subject. @El Chupanebrey I know I kind of struggled with including In The Heat of The Night on there, but I didn't want too many cop movies on there (and I already had Shaft). These movies are certainly not in any particular order (including the ones that I didn't offer a summary for). I think the entire list is equally notable. thanks for commenting! Love this list, but where's Cooley High? No Glory? ;) Nice list, quite a few I haven't seen. Great list! I'm glad to find The Color Purple in it. I saw it not so long ago and really loved it. Didn't know that Goldberg played dramatic roles. @Castor though a fantastic movie, I thought of puting Glory on here but didn't. @Lesya Khyzhnyak yeah people forget that Whoopi is a great dramatic actress. glad to see she was back to that in For Colored Girls. Great list. So many incredible movies.